In Azure Databricks we can create various resources like, Spark clusters, Jupyter Notebooks, ML Flows, Libraries, Jobs, managing user permissions etc. 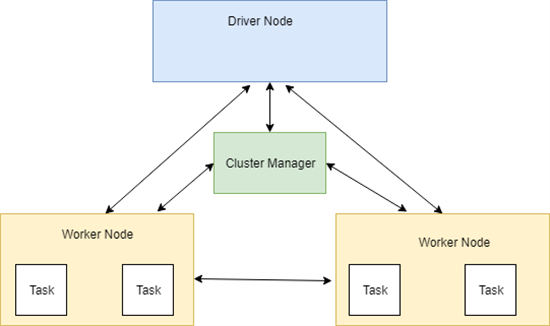 In this article we are only focused on How to create a Spark Cluster and what are the key areas need to know. Once you clicked the Clusters icon as the above image you will redirect to this below screen. We have to click Create Cluster icon as highlighted below. Once you clicked, Create Cluster button you will redirect to Create Cluster Page. There are few configurations to do in order to create a cluster. Python Version: Best to choose version 3 over version 2. Unless you are suppose to code with older libraries. Enable autoscaling: The cluster will automatically scale between min nodes and maximum nodes on demand. Terminate after n minutes of inactivity: This is really helpful to stop your cluster when not using. After configured number of minutes, it will automatically shutdown. Worker Type: Configuration of your Worker Nodes. You can configure Minimum number of Workers and Maximum number of Workers based on your requirement. If you are familiar with the Big Data concepts and how processes works, the Driver Nodes and Worker Nodes will be familiar terms. See the below diagram. Once you provided necessary details, click Create Cluster button, in order to create your spark cluster. It will redirect you to below page and you can see the status of the cluster. After your cluster started, you can see the status of the cluster in green color.